Forty Toes: GIVEAWAY for 31 PARTY! worth 50 plus dollars shipped! I am lucky enough to host a 31 Party for my girlfriend Jennifer a consultant with 31 Party, a military wife and designer behind Card N Curls! Don't worry if you are not local you can still order and use direct ship to have it come directly to your house! 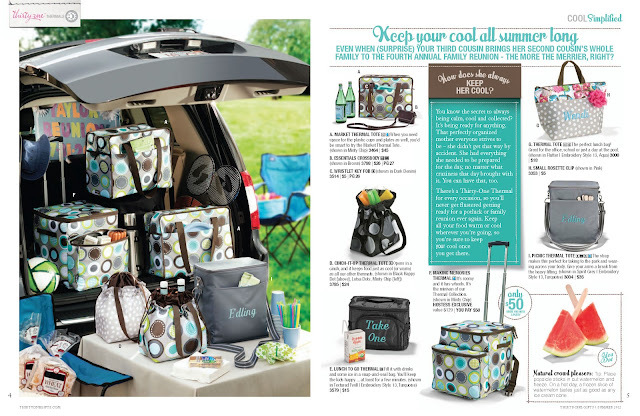 Plus this month you can get the LARGE UTILITY TOTE for 10 dollars for every 35 dollars you spend! WOW! I personally am shopping already for backpacks and school lunch boxes since I have 4 kids I have to start now getting us ready for Sept! I might even become a consultant for 31! I am in LOVE with their stuff! Now if only I can get as organized as she is with all their products! But I am on a mission to try! She also has a private group HERE to get the lastest specials from 31 Party! She asked if I would HELP her with a 31 Party and I could not say YES fast enough! She is one of those cool people you feel like you have known FOREVER! We met while our kids were taking ballet classes and I just ADORE her! 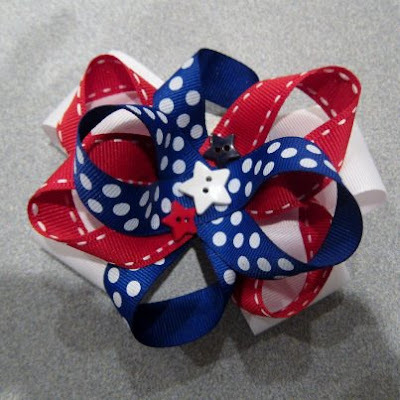 She also makes bows! 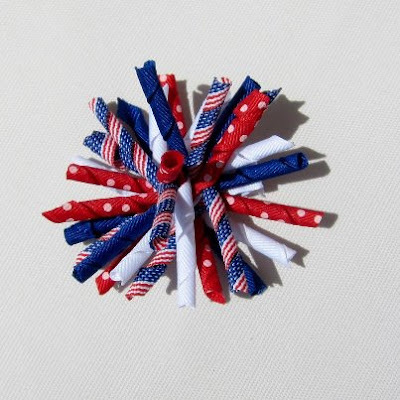 She started just making them for her own daughter then decide she would offer them at WONDERFUL prices for other military families and hence her business Cards n Curls was BORN! She basically gives them away I told her but she says she wants families on a budget to still be able to give their baby girls bows so she keeps her prices low! So we were talking and I thought how about running a GIVEAWAY for her to HELP her grow her 31 Party business and her bow fan page! 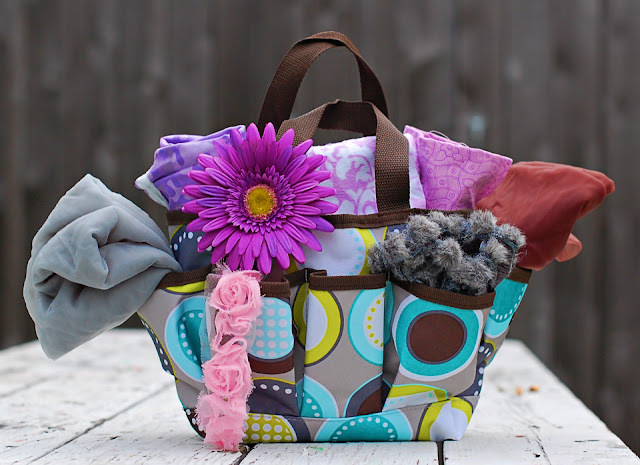 Just follow rafflecopter below and you can WIN this tote with over 4 plus yards of fabric and trims! A 50 PLUS dollar value! GIVEAWAY ends June 25! WINNER posted June 26! I want the denim Retro Metro bag!!! I would love to have an organizing tote!! It'd be perfect for the back of my car for a catch all of shoes, ballet outfits, swim suits etc! Oh, if only I were so organized!! Love all the bags tho. Love love love these bags and her bows are adorable! Rebecca Xavier: I love the Fitted Elite Skirt Purse. I LOOOOVE the 5th avenue bag and the Cindy totes!!! I have a Cindy and it is SOOOO spacious and I always get compliments on it!! Would love to get a skirt purse! 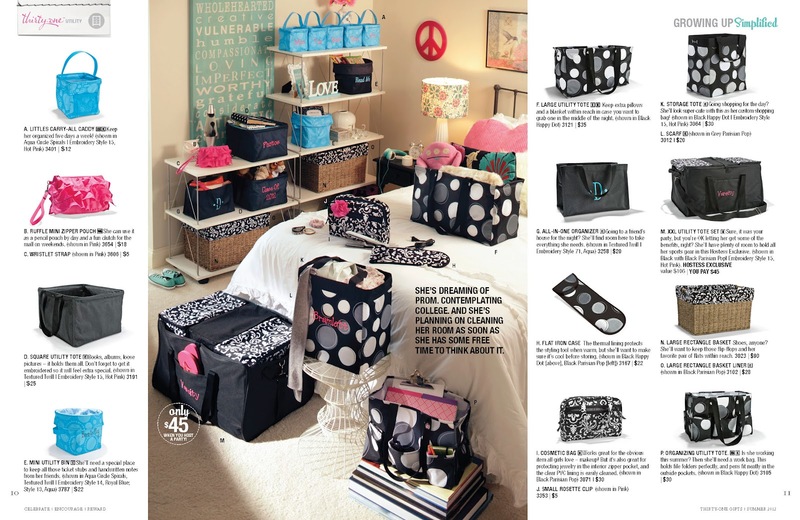 Oh I really want an organizational tote! LOVE the denim retro bag! I would love to win any of these totes!